The country’s wine sector has transformed and further developed in recent years, backed in part by EU funding. The wine cellars and vineyards that offer tourist activities have also multiplied. Here we selected some of them, to add to the list we put together a while ago. 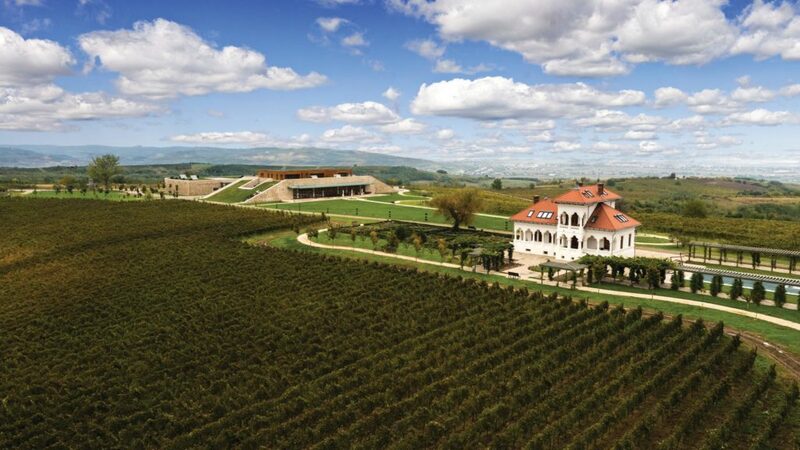 The vineyard and the wine cellar are located in Cernavoda, close to the Sun highway. Visitors can follow the entire wine-making process, from the picking of the grapes to the fermentation and maturation in special barrels. Three types of tours are available: introductory, detailed, and complete. For the first two ones, a maximum of 20 attendees is recommended, while the last one can welcome up to 90 people. More info here. This vineyard is located in the village of Siminoc, on the hills of Murfatlar, a renowned local wine region. A visit to this wine cellar allows the discovery of some of the other attractions of the area. Among them are the Murfatlar Cave Churches, dating back to the 10th century AD, or the Mihail Kogalniceanu Mansion, a former property of the Romanian statesman of the same name. Also in the area is the Fantanita Murflatar Nature Reserve. More on how to book a visit here. This wine cellar sits next to a family mansion built at the beginning of the 20th century and now restored. The domain offers wine tastings, winery tours, walks through the vineyard but also tourist stays. Its Dobruşa Villa is surrounded by various tourist attractions, such as the Dobruşa Hermitage, the One Wood Monastery or the Măldăreşti fortified mansions. Further details on how to book a visit here. As the Romanian name suggests, La Salina is located close to the Turda Salt Mine, on the hills of Durgău. The wines produced here carry the name of Issa to mark the period when the Turda area was known by its Roman name of Potaissa. The vineyard area was redone beginning with 2011. Vsitors can enjoy wine tastings and a tour of the vineyard or spend the night on site at a guest house that can accommodate 40 people. More details here. This winemaker is known for its sparkling wines, produced in the region of the Silvania hills, in Măgura Șimleului. It is one of the northernmost vineyards in the country. The sparkling wine produced by the Champenoise method began here in 1974. Visits to the wine cellar can be scheduled here. The vineyard covers the slopes of Camăr, a village at the foothills of the Măgura Șimleului, an area of cool climate, where grapes reach maturity much slower. Wine tastings are organized on site, alongside various activities such as walks through the vineyard or the forest nearby, fishing, or cycling. A guest house is also open at the vineyard, where various personal, family or corporate events can be organized. Further details here. The Budureasca vineyards are found in the Dealu Marea area, another famous wine region in the country, and closer to Bucharest. Opened in the spring of 2013, the new wine cellar is one of the largest in the region and accommodating wine tastings. More here.